30,5 x 12,7 cm - 12 x 5 in. Londres, Grafton Galleries, 1905, n° 49 – The Art Institute of Chicago, 1964, n ° 31 – The Art Institute of Chicago, 1984, n° 53, p. 117-119, repr. p. 117 – Paris, Ottawa, New York, 1988-1989, n° 266, repr. p. 440 (Ottawa seulement). Lemoisne, 1946-1949, II, n° 583, repr. p. 329 – Cachin, 1973, n° 54 – Lassaigne, Minervino, 1974, n° 576, repr. p. 113 – Giese, 1978, p. 43-44 n° 9, 47, fig. 6, p. 46 – Thomson, 1985, p. 13-14, fig. 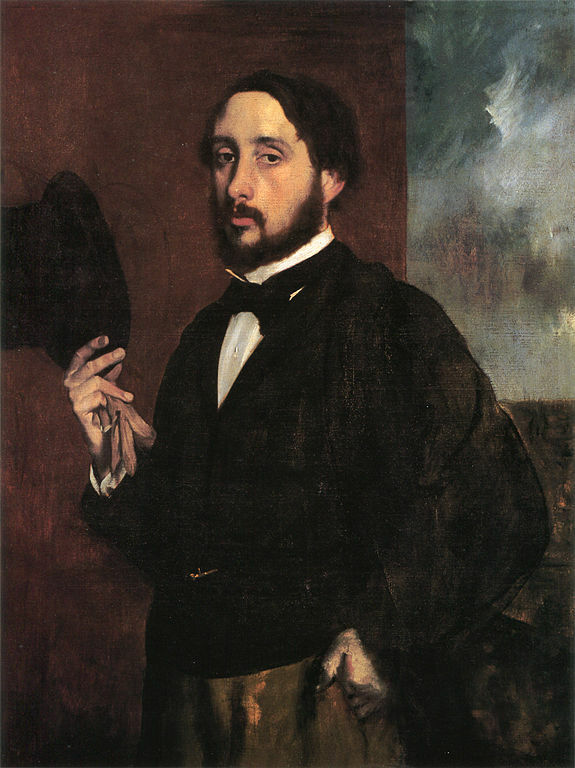 13, p. 58 – Degas in the Norton Simon Museum, 2009, II, fig. 20b, repr. p. 176.